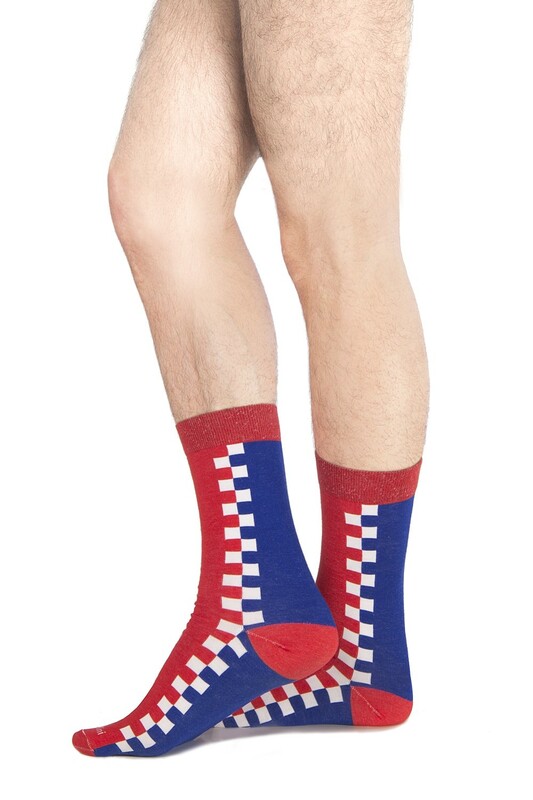 Color-blocking meets geometry in these stunning men's pop crew socks by Emilio Cavallini. The geometric pattern will highlight your ankles thanks to the contrasting element interlocking vertically along the center. Try them in the cult red-and-blue color combination and pair them with an essential denim look, to create a sophisticated Summer outfit.